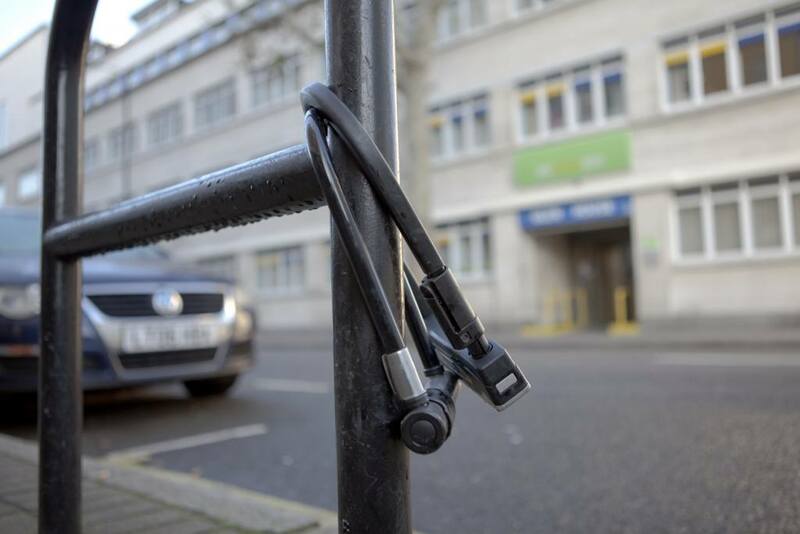 Our cover is provided on the basis that you secure your bicycle with an adequate Sold Secure rated lock when leaving it in public. We aim to make the process of choosing the right one as easy and stress-free as possible. 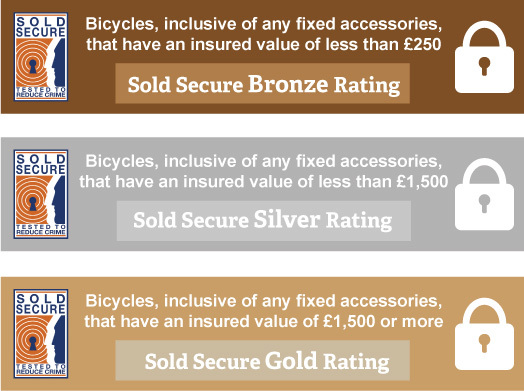 Sold Secure tests and rates cycle locks sold in Britain. Each lock model is rated as Bronze, Silver or Gold. The three ratings represent how long it would take for a thief to break the lock. The higher the grading, the greater the level of security provided by the product. There are a wide range of bicycle locks available, but not all have a Sold Secure rating. To make it easy for you, we have put together a list of locks that we can happily recommend as being secure, practical and affordable.